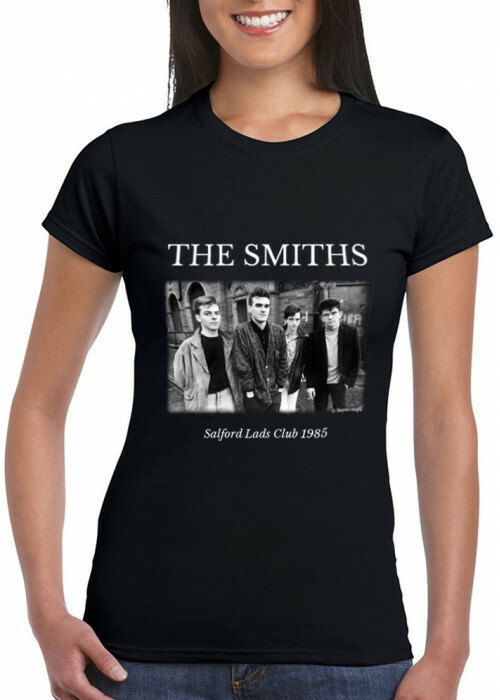 Beautiful Premium Quality T-shirt of The Smiths Band at Salford Lads Club : Andy Rourke, Morrissey, Johnny Marr and Mike Joyce in cold day of November 1985. The launching of this quality t-shirt coincides with the 30th anniversary of The Queen is Dead release. Photo by Stephen Wright, All rights reserved. 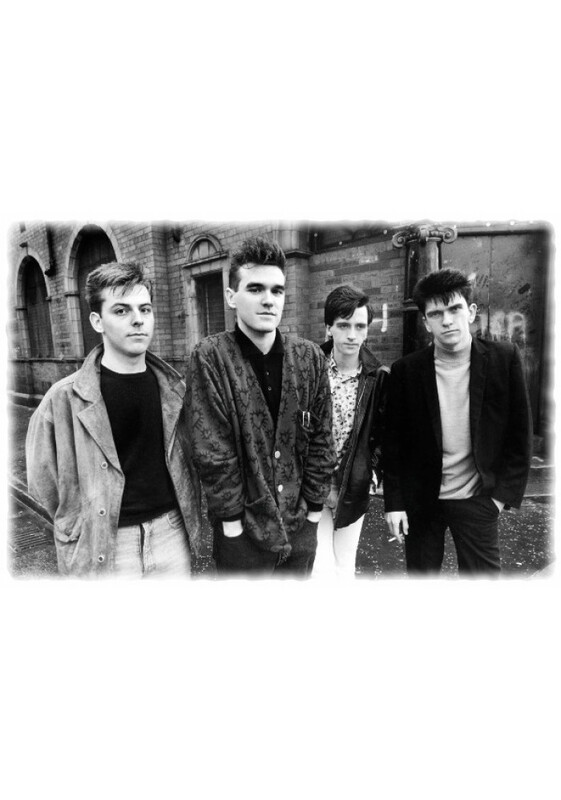 During a day of November 1985, Stephen Wright made in Salford a photos session for The Smiths that became the most famous session of the band. One of the photos was included in the inner sleeve of the arguably the best Smiths álbum : The Queen is Dead. 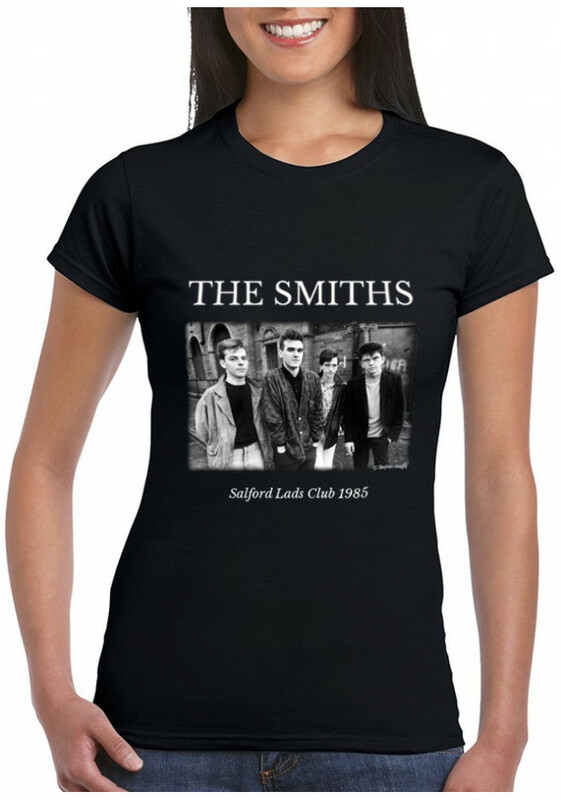 Not many years later the place where was taken the shot of The Queen is Dead Album, Salford Lads' Club would turn the most visited landmark for The Smiths. In 2007, the Manchester Evening News published that the building came third in a nationwide hunt to find the most iconic buildings in the country. Salford Lads Club gained listed status in 2003 as its tiled interior is little changed with original fittings. English Heritage said: "The building is thought to be the most complete example of this rare form of social provision to survive in England." The club was opened on 30 January 1904 by Robert Baden-Powell, who later founded the Scout movement. The concept of a boys' club grew up in the 19th century as a way of keeping young boys "off the streets" and encouraging them to become "good and worthy citizens". Stephen Wright recalls about that November day in 1985 'It was a cold damp winter day '. This image is a close still of the band just right after (or before) the famous one included in The Queen is Dead. Now, you can have this original pictured printed on Premium T-shirt.